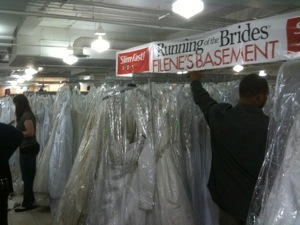 Two weeks ago, I went to the Filene’s Basement Running of the Brides in Washington, DC. I went at 6pm. 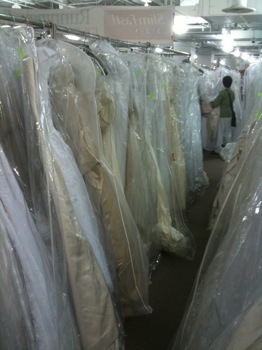 There were still a ton of wedding dresses left on the racks. A TON. Glad I didn’t wake up with the crazies and hoard dresses. Only a few caught my eye. I tried on five. 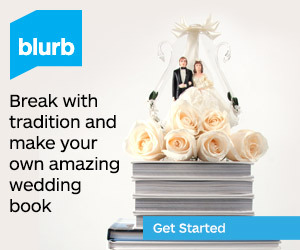 I can, without a doubt, say that I do not like any sort of bridal-looking wedding dress. I am working on the ultimate Wedding Playlist. The most pressing problem is that it’s a bit heavy on fun, faster music, and a bit light on slower dance music. I can’t help it! I like fun, upbeat music! I think we’re going to continue with our dance lessons. We’re having a lot of fun, it gives us an excuse to get out of the house, since we always seem to be working on projects at home, and we’re both learning something together from scratch. I am so proud of my fiance and how well he is learning how to foxtrot and waltz! But neither of us like the Club Swing or Single Swing. It’s just a very awkward feeling dance. We still haven’t had our November 2011 wedding date confirmed yet by our venue. The application period closed on May 1, so we should hear something any day now (it’s a National Park site, so the application process is kinda complicated). If we don’t hear something by Monday, I’ll call. 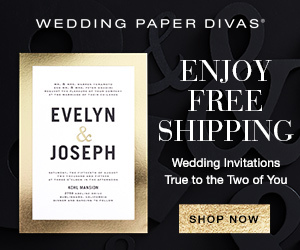 I’m doing a good job of not obsessing about it, I’m just worried that the vendors we like will get booked before we hear back from the venue. We had our engagement photos taken. Well, they were actually taken in two parts. We were supposed to meet our photographer at our picture location at 3pm last Friday. The location closed at 5pm, so we would be able to get in our full two hours that the price included (the photographer preferred to meet as late as possible to get the best light). Well, the photographer was 30 minutes late. Our session was rushed, she hadn’t scoped it out for the best picture locations (my fiance and I had been there before, but how are we supposed to know the best places for portraits?) and so we were running around like crazy. So, I asked, and she agreed to do a second shoot at a different location just a few days later. Even though she was only late by 30 minutes, the extra shoot went an hour. I’m happy she was so accommodating, but, seriously, she was 30 minutes late! We sat in the same traffic she did, and we were still there on time because we know how traffic is in this city and how long it takes to get places. She assured us she wouldn’t be late for the wedding day. She was super nice, but I just can’t seem to shrug the initial disappointment. She’s a professional (read: expensive, and this is her full-time job, since photography is our top priority), so I’m hoping it was just a fluke. I guess we’ll wait to see how the pictures turn out. I’m a cheapskate, and hate how much it costs to get a haircut. So, for years, I’ve been trimming my own hair and have never had a disaster. Well, three days before our engagement photo session, I trimmed my bangs, just like I had done a hundred times before. Well, I managed to cut off WAY too much. And rather than making it even, I decided to just leave it alone so that I wouldn’t end up with all short bangs (the shortest part was in the middle). I have a fear of extremely short bangs after an unfortunate haircut in middle school that made me look like a little boy with a bowl cut. So I figured, uneven was better than too short. For the next three days, I tugged on my bangs, massaged my scalp, and ingested many vitamins in an attempt to get my hair to grow back. (not that I actually expected that to work). Well, the day of the photos I think I managed to conceal it well and just kept rubbing down my bangs in between photos in an attempt to make them look longer. This is an important lesson learned for my hair trim before the wedding! 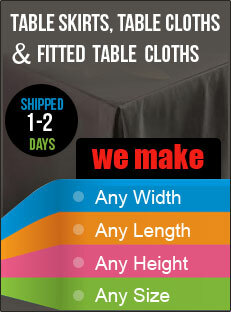 We started our registry on Amazon.com. The Gear for Your Kitchen book has been invaluable. So many useful tips and tools that I would have never thought of. Now that I’ve cleared some of the usual registry items, I’m trying to think of other things to register for. We bought 10 digital cameras to put on tables at the wedding. Yes. Ten. They were refurbished Kodak point-and-shoots for $49 each from an Ebay seller. 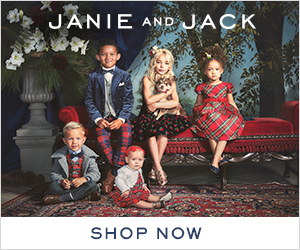 We figure we can sell them after the wedding. Now we just need some SD cards for them, and we’re all set! I think this is actually a very reasonable price. Disposable cameras used to be in the $10 each range, but then of course getting all those photos developed was very expensive. I think this will come out to be about the same price.